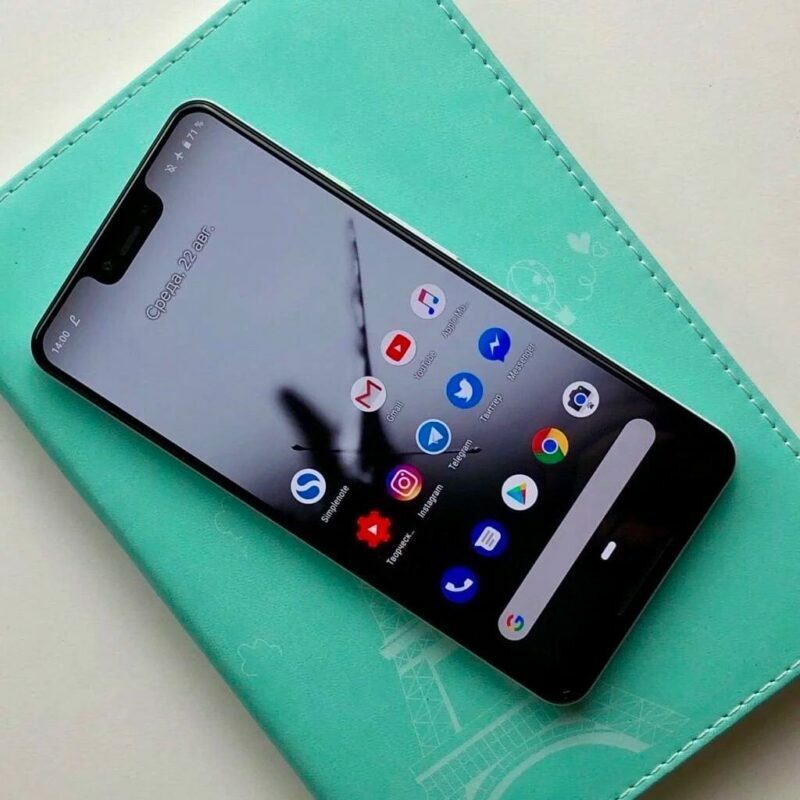 As expected, Google Pixel 3 and Pixel 3 XL will be officially launched in early October, but there is a lot of information about the Pixel 3 XL appearing at the moment. 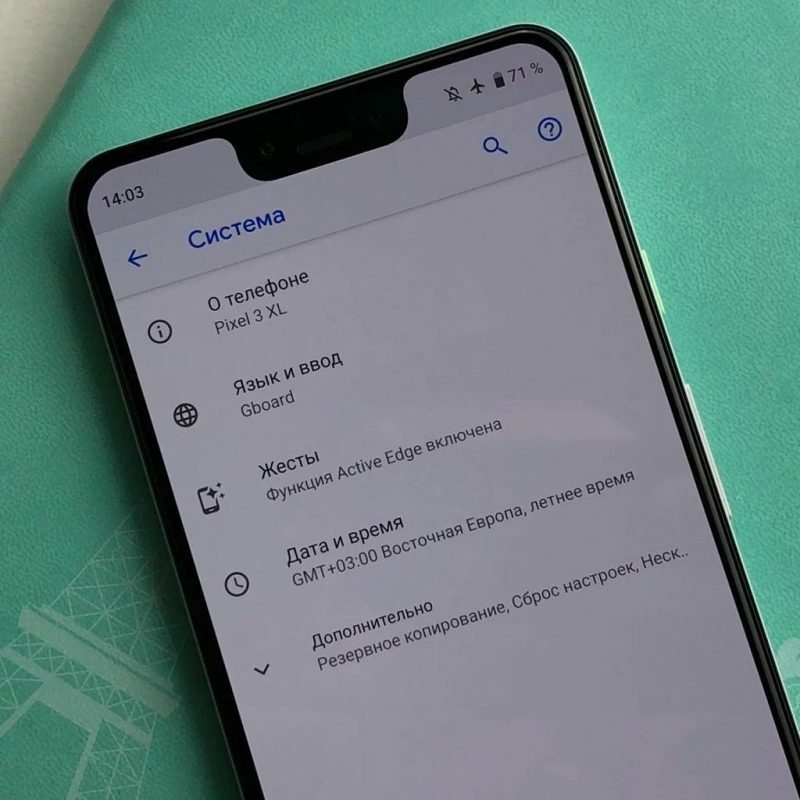 Today, a Russian website and technology expert Wylsacom has suddenly shared a new reality series of Pixel 3 XL, revealing its design from various angles. 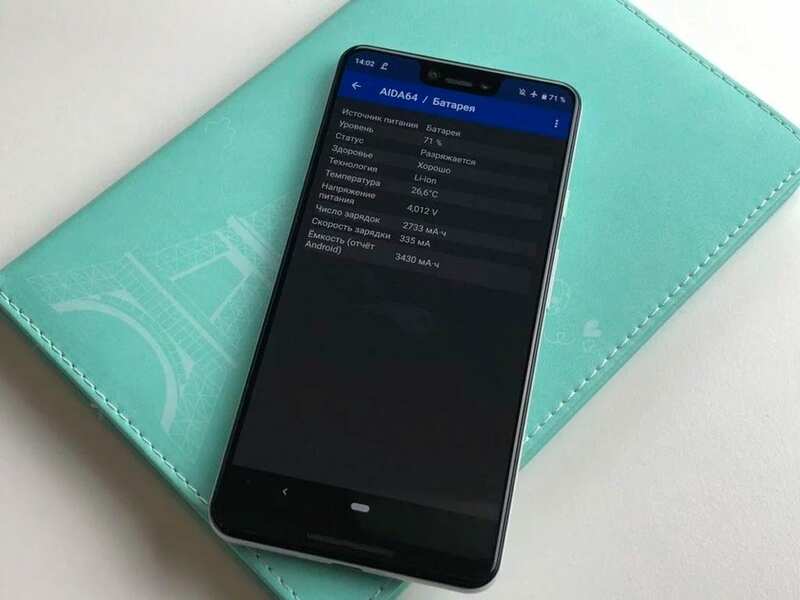 In addition, the phone’s specifications are leaked through the AIDA hardware testing application. Looking at the images above, it’s clear the Pixel 3 XL will follow the trend of designing the popular “rabbit ears”. Smartphone makers have been trying to bring phones with some minor changes to the design of the rabbit ear. 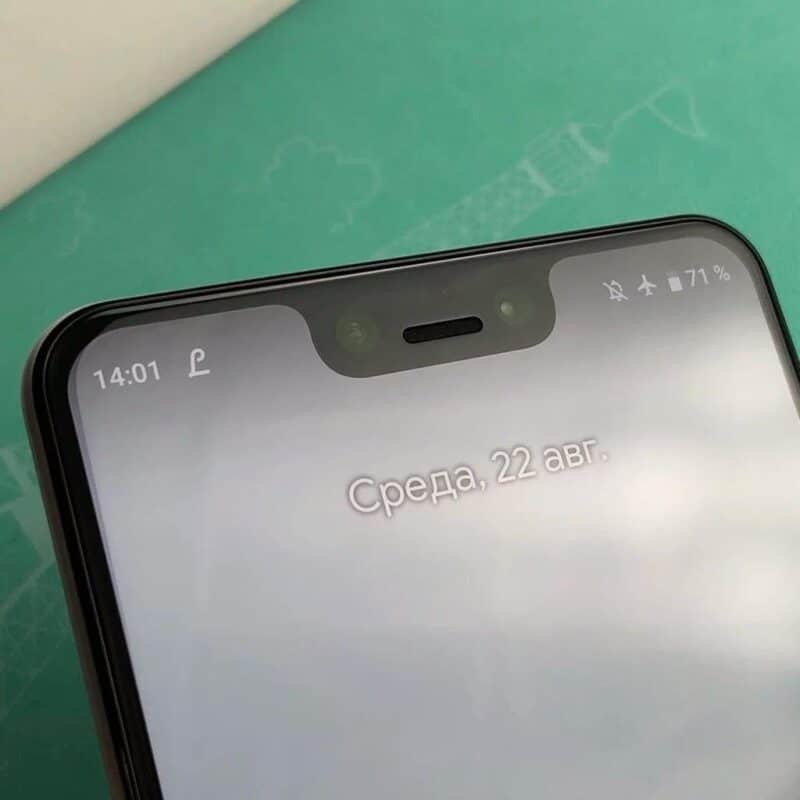 Some devices, such as the Essential Phone, Oppo F9 or Oppo R17, have relatively small rabbit ears, while the Xiaomi Pocophone F1 and Mi 8 have a fairly large rabbit ear, as they also have an infrared light/camera to identify and unlock. with a face. 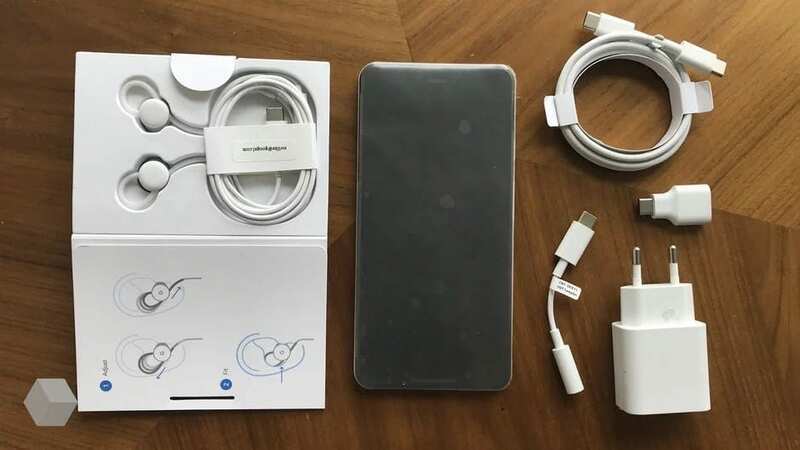 Unfortunately, Pixel 3 XL comes with a large and thick “rabbit ears”. 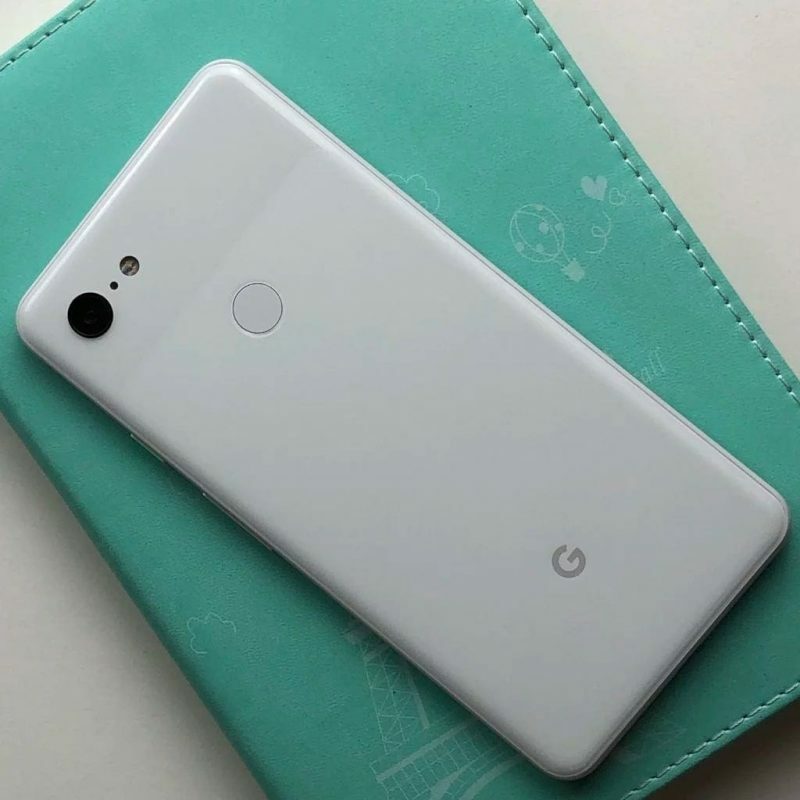 It is known that Pixel 3 XL’s rabbit ears are made quite large because it also contains a dual camera self, speaker, and some other sensors. 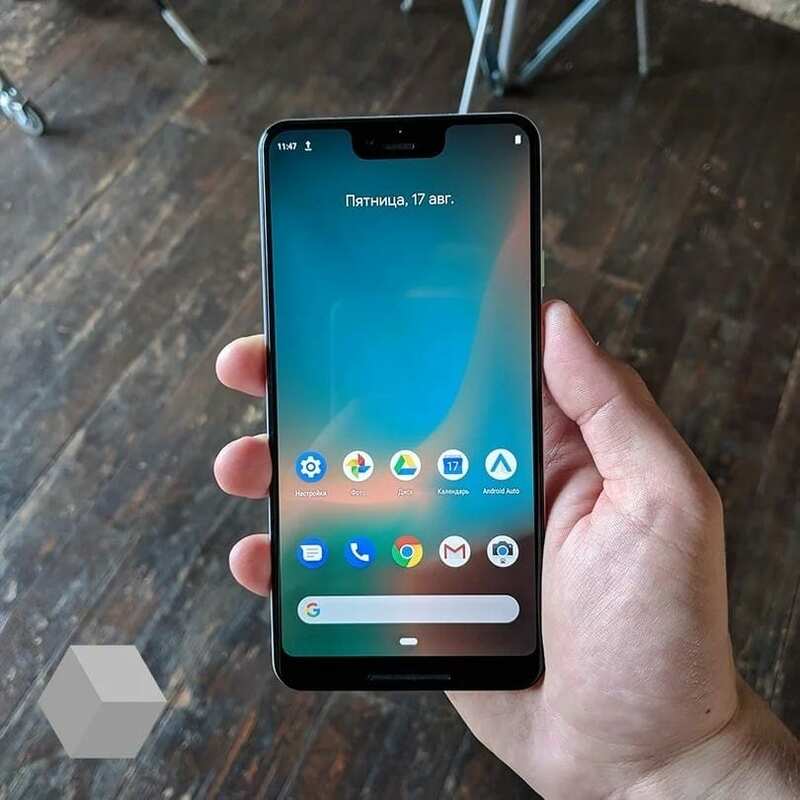 Obviously, compared to other rabbit smartphone models, the notch on the Pixel 3 XL is too big and makes this phone less attractive than ever. Not only that, the bottom bezel is made quite thick, although eliminated the physical keypad capacitance. The back of the machine uses a two-tone color scheme, with the upper half seemingly made of rather shiny glass, while the bottom half has a matte finish. At the top, we will only have a single camera with LED flash. Meanwhile, the lower half of the back only contains Google’s familiar “G” logo. 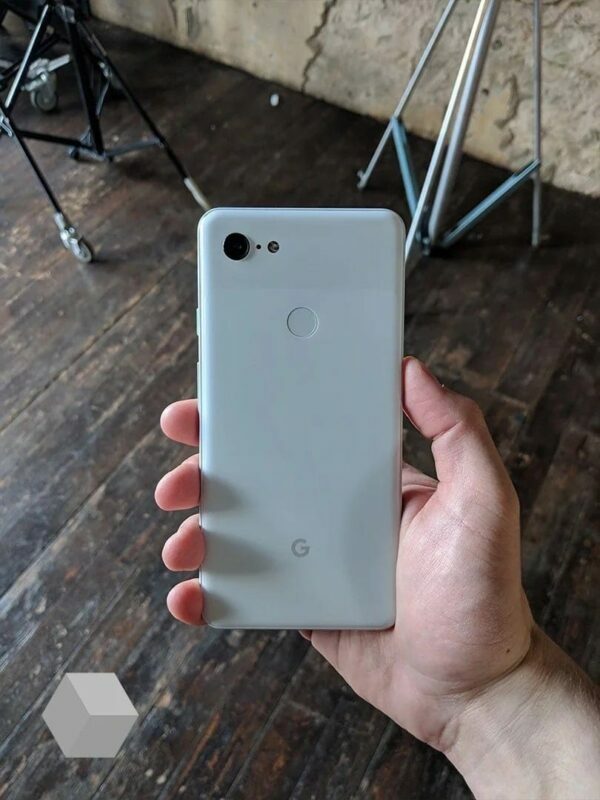 In particular, the back is made of glass, so the Pixel 3 XL will likely support wireless charging. 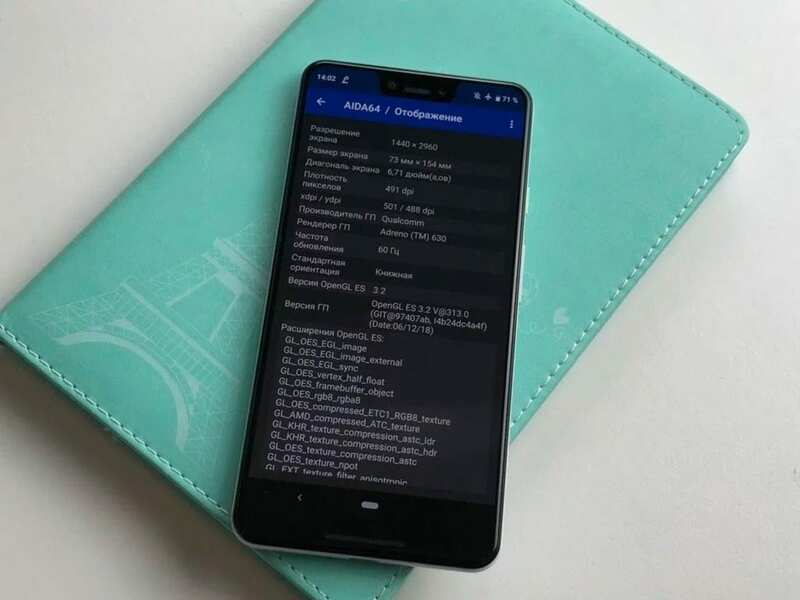 The AIDA hardware test app has revealed some of the key specifications of the Google Pixel 3 XL. The phone measures 154 x 73 meters with a 6.71 inch screen, QHD + resolution (1140 x 2960 pixels), 18.5: 9 aspect ratio. It features a Snapdragon 845 processor and a 3430mAh battery. Another report says it will have 4GB of RAM and a 12MP single camera on the back.